Articles | The best direction for a kitchen: As per Vastu Shastra-scientific reasons. The best direction for a kitchen: As per Vastu Shastra-scientific reasons. The best direction according to Vastu Shastra is Sourth East. The Sun being stationary, the earth moves from West to East, as this happens the earth’s surface is exposed to the sun’s rays during different period of the day. The South east portion of every house receives maximum amount of gentle sun rays. The radiations in the morning sun till 11 am are good to preserve the food stuff due to their anti-fungal and anti bacterial influence. Above all South East direction is a hotter zone as compared to North and East and North-East so heat related activities are helpful in hot zone. This direction is comfortable for human beings to work and secondly the sun rays are just right to preserve the food prepared and stored and ensure the retention of nutrients in the cooked food. The morning sun in this direction contributes to good health and hygiene in the kitchen. Generally housewife / ladies cook in the kitchen and having the kitchen in the south east keeps the person happy and content. Otherwise, it can lead to lack of health of the housewife or who ever cooks in the house, and consequent disruption of all the activities of the house. Location of kitchen in the South east will therefore be a boon to the entire family and the housewife in particular. We can easily image the grave consequences of deteriorating health condition of the housewife on the entire family. 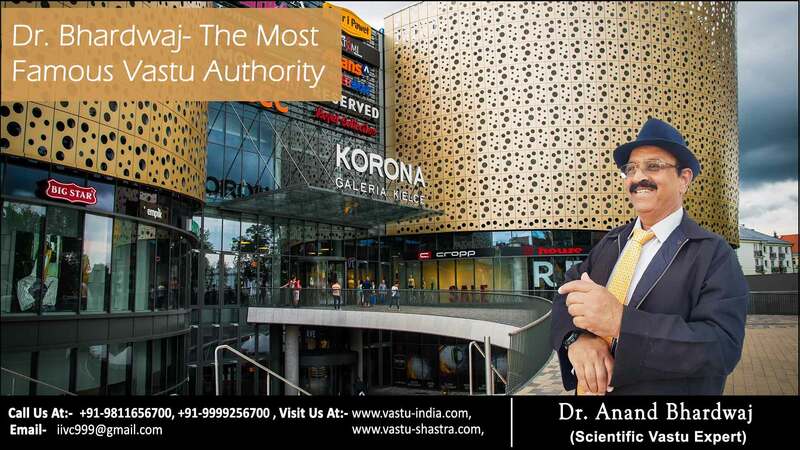 Dr. Anand Bhardwaj-The World’s Highest Qualified Vastu Professional advice Vastu Dr. Bhardwaj- The World’s Most Experienced Vastu Professional so Why to compromise when World class Vastu Professional is there!! because Class people always choose the class Vastu Professional- Never Compromise. South West is the hottest direction among all so food gets spoiled fast and is not good for humans to prepare food there as we and the food is exposed to the harmful infra red rays of the Sun.